Teaching can be a trying and difficult task. It can test the patience and the self-control of any teacher. The stress of wondering whether your students will connect to the lesson, and the responsibility of helping these students learn is a large burden. I had my first experience teaching this week and it was far harder than I had anticipated. I always felt like teachers just went up to the front of the class and taught a lesson. I had never taken the time to think of the hard work and preparation that goes into each lesson. 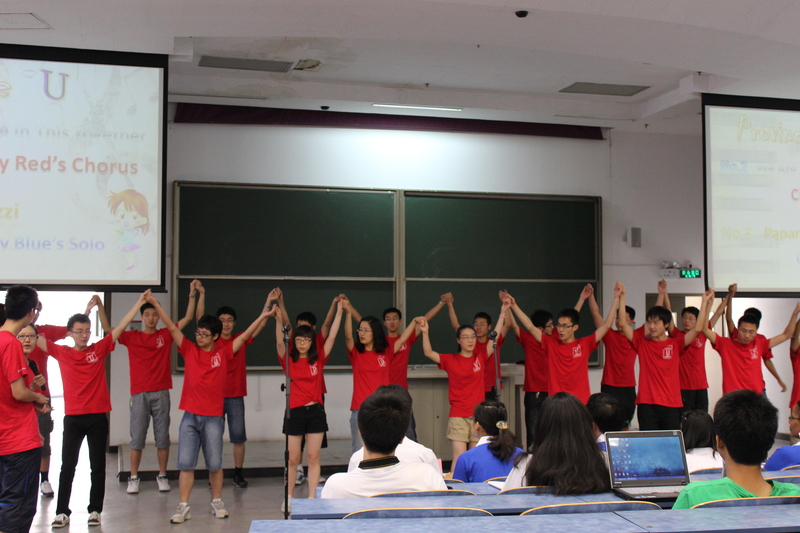 I taught in front of my fellow Tsinghua teachers this week as a trial run and I found myself surprisingly nervous. These were people I had been spending hours every day with and I was still nervous. I can only imagine how I am going to feel teaching students I don’t know. To make the situation even more difficult I will be in a foreign country where I am unfamiliar with the language and the culture. How will the students react to my lesson? Will they even know what I am saying and if they understand my words will they be able to relate? I know I will have to work on the fly and will become a better teacher and student through this process.